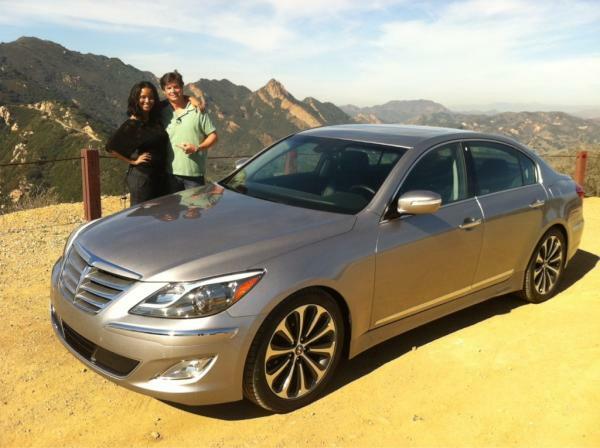 Today I reviewed the 2012 Hyundai Genesis R-Spec for Wheels-TV & AutoTrader. Base price is $34,000 and you get pretty much all the extras you’d expect in a luxury car except the navigation system. Add $12k and you’re at the R-Spec which is where you wanna be. The R-Spec has a 429hp V8 that gets a respectable 16 city / 25 highway mpg, it also has a sportier suspension which makes for a rough ride, but makes up for it with heated and air-conditioned seats. Even the rear seats are heated – which I like. But in my opinion the R-Spec sedan is what the regular Genesis sedan should feel like. If you’re looking for a near-luxury car for under $50k the 2012 Hyundai Genesis is a great bang for the buck.